I have been hugely impressed with the Iron Cowboy’s 50/50/50 attempt. If you have been missing in action, then check out his site. He’s well on his way to completing a mammoth – nay – Herculean task. 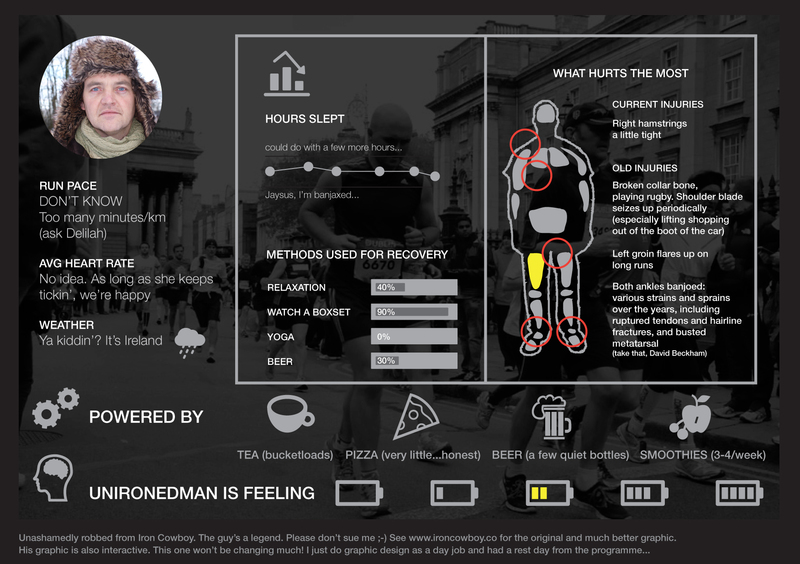 The athletic ability is complemented by a very smart piece of web design, and as I do a little of this in my day job, I couldn’t but help wonder what the unironedman would do with a large budget for social media. I will have to wonder. So instead, let us present the unofficial (but still unironedman’s) stats page.